There was a period in the recent past where it looked like the future might be powered by diesel engines. With a generally greater fuel efficiency than your standard gasoline engine, the automotive industry today could have been massively different. Then, Dieselgate happened and manufacturers got a little hesitant being associated with that whole fiasco. Electric vehicles have been coming to the fore—and Cadillac looks to be the next manufacturer to swap its diesel program for an electric one. 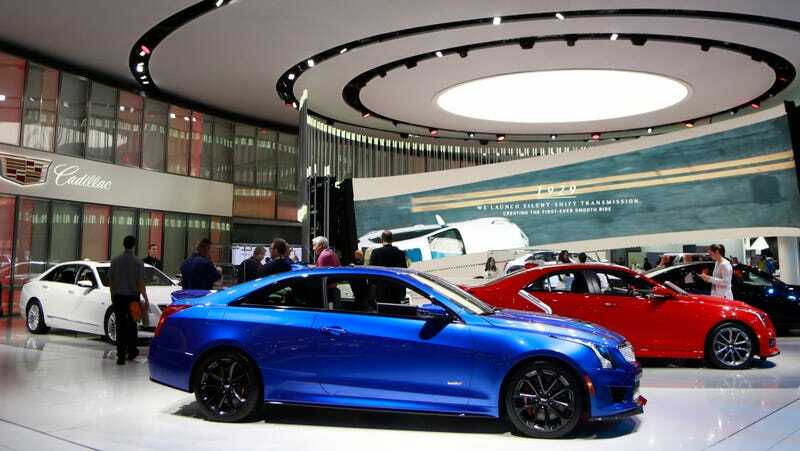 As per Automotive News, Cadillac is just one of many automakers who have either withdrawn their diesel cars from the US or just flat out cut their programs. It’s not that everyone is getting rid of diesel engines. It’s just that there are different motivations now. Namely, the efficiency of electric vehicles. While still a relatively new technology, you pretty much can’t blink today without seeing another announcement for a new electric car. Cadillac has had a diesel program in the works for years, and circumstances have meant it just keeps getting pushed back. They’ve been looking into four- and six-cylinder diesel engines for European production with the intention that they’ll be introduced to the American market soon offer. See, when the dieselgate news came crashing down on our heads, Cadillac had already started their work. At that point, they’d put so much time and effort into the program that it wouldn’t have made sense to throw all that work to the wind. They just put it on hold. Wait for things to simmer down and then give it a shot when diesel recovers. Then, last year, General Motors sold Opel—as in, one of Cadillac’s development partners for their diesel engines. Another stumbling block, but maybe one they could crawl past with some more time. We have been working on diesel, but the markets may be changing more quickly than we anticipated. Going forward, we will focus on electrification. That’s not to say that they’re completely cutting their diesel program. They’re just changing focus. There’s still the potential that diesel could make a comeback, but it’s just not looking like the market is shifting in that direction. It’s been interesting to watch this happen almost under our noses. It wasn’t that long ago that electric cars seemed an impossibility of the future—and now, they’re hitting the market at an exponential rate. Cadillac’s transition marks yet another big-name manufacturer who’s seeing the importance of a future powered by electricity, not combustion. The European versions of the all-new Cadillac XT4 premium compact crossover will be offered with specially developed gasoline and diesel engines meeting the latest EURO 6d emission standards.